Steven Fisher is a VERY successful distributor with Ignite Energy and he is also the author of the book “Residual Millionaire.” I recently purchased a copy of the book on Amazon, after one of my friends recommended that I read it. I read it during a three day period and really enjoyed it. 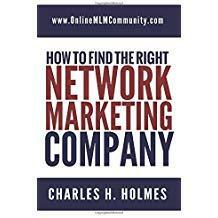 Overall, I give it four of five stars and consider it a must read for any network marketer. What I want to do in the rest of this post is share my top 24 Steve Fisher quotes from his “Residual Millionaire” book and also provide my own insights to each quote. Each quote is in bold and italics. My take on the quote immediately follows the quote. # 1 We all have strengths and we all have weaknesses. No one is good at everything. The secret to success is to focus on your own strengths, not your weaknesses. Leverage your own talents and abilities and build your network marketing business in a way that works for you. In addition, surround yourself with people who have different talents and abilities than you do. That way you can collaborate and work together. # 2 It’s a lot easier to create a residual income of $2500 per month than it is to get a million dollars in the bank. Most people will never have a chance to save one million dollars in their lifetime. The reason people want to save up such large sums of money is because they want to be able to live off the interest income when they retire. If you have one million dollars in the bank earning three percent annual interest, that would pay you $2,500 per month in interest income. I personally believe it is much easier to create a $2500 monthly income with a network marketing company that it is to save one million dollars. What do you think? # 3 The personal development that can also be gained through network marketing, in my opinion, is second to none and incomparable to any other business or job. The skills I’ve developed in network marketing have helped me in all areas of my life. I have learned a lot about goal setting, leadership, communication, motivating others, and sales/marketing. These skills helped my career and other business ventures I pursued. I truly believe that MLM is the best business school and best personal development school in the world. # 4 You should also choose a sponsor who will be committed to YOUR success, committed long-term, and not someone who jumps from opportunity to opportunity or tries to do several network marketing businesses all at once. Who you team up with is just as important as what company you join. You want a sponsor who is successful, committed, accessible, and willing to help you succeed. Most people just team up with the first person who introduces them to the business. I think that is a big mistake. At the end of the day, your sponsor is the most important person in your business, other than you. Learn how to find a good sponsor. # 5 Find a product that you can be passionate about, is recession proof and makes sense to many. You want a good product that people want, is consumable, and is at a good price point. It must be a good deal even to people not doing the business. If it isn’t a good deal for retail customers, find another business to join. It should also be something that the masses are already buying, so you don’t have to convince people to try it out. # 6 Victory does not usually come overnight. Good things take time. This is not a get rich quick industry. It’s not the lottery, either. Rome was not built in a day. Most businesses in the real world take a couple years just to get profitable and five or more years to be established and successful. MLM is no different. In most cases, big success is going to take you at least five to ten years of consistent, part-time effort. # 7 If you don’t become a problem solver you will always work for one. People who are successful in life are doers. They are solution providers. They are good at solving their own problems and other people’s problems. # 8 Don’t judge the industry based upon some of the people you see participating. All industries have good and bad people in them. Most people in our industry are amateurs, not professionals. We are one of the only business ventures in the world who attract “employee minded people.” Look at the successful people in our industry. See what they did to become successful and model their behavior. # 9 Starting anything of significance requires extreme sacrifice and commitment. If you want to do something extraordinary in life, you must sell out to it, be disciplined and persevere. In this industry you need to commit to one company for minimum ten years. You must focus on one thing and you must be consistent with your actions. Otherwise you are only kidding yourself. # 10 People follow those who know where they are going. Everyone loves to follow a leader. People are naturally attracted to leaders. I tell everyone to be a leader. Lead by example at all times. No one wants to work with an amateur. # 11 Inviting is without a doubt the most important skill in our business. Learn how to invite people to see a complete presentation. It’s the “master inviters” that make the most amount of money in our industry. You don’t have to be a good presenter to succeed. As long as you know how to invite people to take a look at a third party tool you can build a big business. # 12 As you stick with something and push through to success your credibility increases. Success is simple, but not easy. If you want people to take you seriously, they have to know you are serious about your network marketing business. The longer you stick with one company, and stay in the industry, the more credibility you have. Many people in your inner circle will watch you for several years before they join your team. # 13 Personal recruiting is the difference maker in network marketing. The top earners are all very good at recruiting others into their business. They know they have to recruit a bunch of people to find their key leaders. # 14 Lean on your upline leader in the beginning. Your sponsor and upline are there to help you, but you have to ask for help. Leverage their talents and experience to help you get started right. They are your coach and support system. They want to help you succeed. Be coachable and ask for their help. # 15 Upline leaders work with producers. If you want to get your upline’s attention, get busy and get to work! They want to work with the people who are producing, so be a producer. Leaders spend most of their time with other leaders and future leaders. # 16 The key to success in any business is simplicity. Keep things so simple a caveman could do it. Use the eight year old test. If an eight year old couldn’t do what you are teaching, adjust your approach. # 17 Learn to leverage leaders that will connect with your prospect. Not everyone you bring into the business will relate or connect with you. Get to know your different upline leaders so you can introduce your new team members to them, the ones that will relate best with them. # 18 Events are where you catch the vision, gain belief, and ultimately explode your business. Attend all events and get your team to attend all events. Events are the glue that helps keep your organization together, motivated and focused. # 19 The difference between those who are good and those who are great can be found in small daily choices in many cases a difference of one degree. The little things do make a big difference. Your daily actions will ultimately determine your level of success in the business. Little things done consistently over a period of time add up to make a big difference. # 20 Recognition is HUGE. Many people care more about recognition than they do about making money. Make sure you recognize people on your team, for everything they do, even the small things. People crave recognition. # 21 Home meetings are a very powerful way of building your team. Learn to leverage home meetings to find new customers and distributors. It’s a good way to work smart. What’s great about home meetings is that you can present your business and products to five to ten people at one time. # 22 I’ve also found that people don’t easily quit on someone they have a strong relationship with. Try to build a good relationship with everyone on your team! Become friends with as many people as possible. It’s tough to quit on a friend. Relationships are the key to long term success in this great industry. # 23 As a leader, I am looking for my next leader. Always look for leaders in your downline and do what you can to help them and work with them. They are the ones who will build your team. This is typically no more than two to three percent of your team. # 24 Those who build with leaders multiply their businesses, those who build with followers add one by one. Sponsor a follower and you add a few people to your business. Sponsor a leader and you really do multiply your business. Most top earners make MOST of their money from just two to five people, even if they’ve personally sponsored hundreds of people. Steve and his wife, Diane, live in Texas. Steve is a former employee of American Airlines. He is a successful author, trainer and network marketing professional. In summary, Residual Millionaire by Steve Fisher is a great book for any network marketer. It’s filled with wisdom and success stories that can really teach you what you need to do to take your network marketing business to the next level. If you haven’t read it yet, you should. What is your favorite quote on this list? Have you read the book? Leave a comment below to share your thoughts. I look forward to hearing from you. I agree that we all have our own sets of strengths and weaknesses. This is important to keep in mind when trying to formulate a team in your MLM. I like having a diverse team because we all thrive in different areas. So where one person is weak another person is strong and ultimately this means there are virtually no gaps because we all cover various areas. We all learn from one another and as a whole we really succeed. That’s a great perspective to have Diamond. I’d take it a step further and say that it is foolish to try to have everyone on your team build their business the same way. I read this book last month and really enjoyed it. Your review and quotes are really spot on. Thanks Marissa. I really loved this book. These are very good tips. My upline leader was not very committed to my success. It left me discouraged and I eventually quit. I was passionate about the product we were selling and would’ve loved to continue. The next time I try I will make sure I am under someone who really wants to see me succeed. And if not, find another leader before just quitting. Many successful people had a crappy sponsor. It does help to have someone who is serious, but at the end of the day all of us are independent business owners and must accept responsibility for our own business.